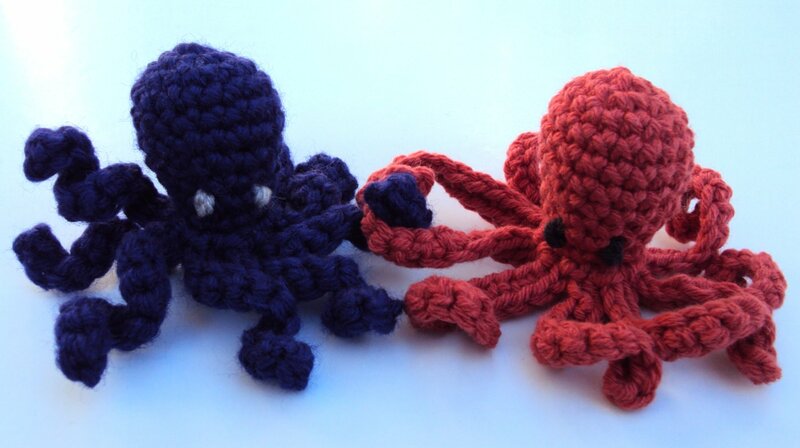 Crafty and Devious | knitting. 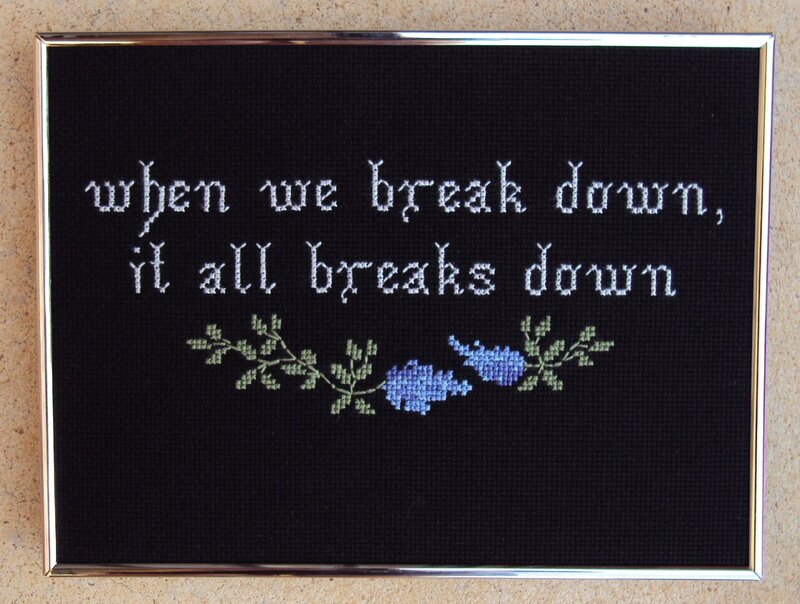 stitching. plotting. So this post is late. I mean really late, Like, these are Christmas presents in here, late. I was going to stagger all of this awesome out over several posts, but my habits have been so lax lately, I figured it was best to get them all out in one go. So here it is: the Massive(ly late) Christmas gift post. 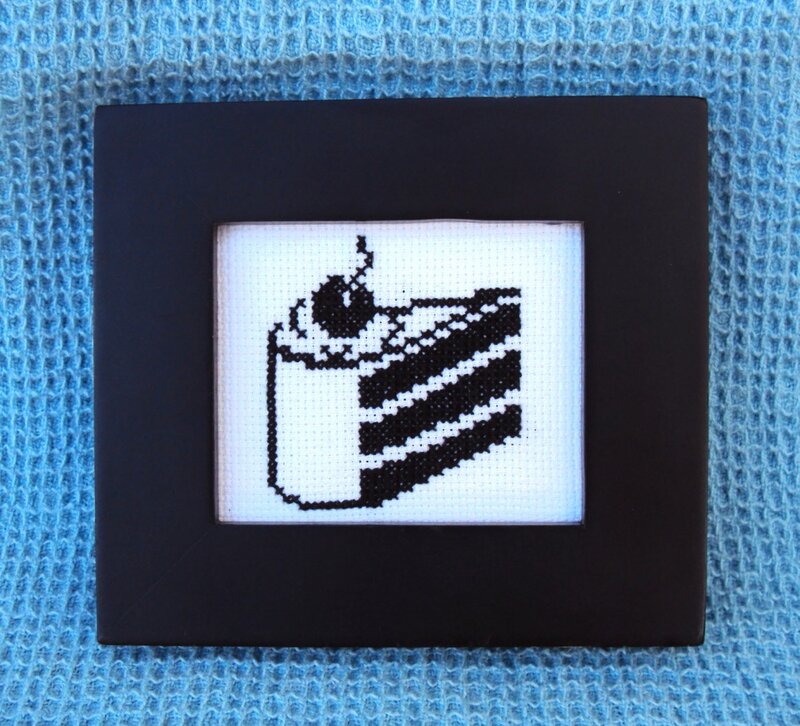 This untruthful cake was only part of a whole incredible series of Portal warning signs by the Crafty Bikyclist, and they are all available as free patterns. Highly recommended for the geek in your life. For my Dad’s Christmas present, I went with a pattern I had bought some months previously. 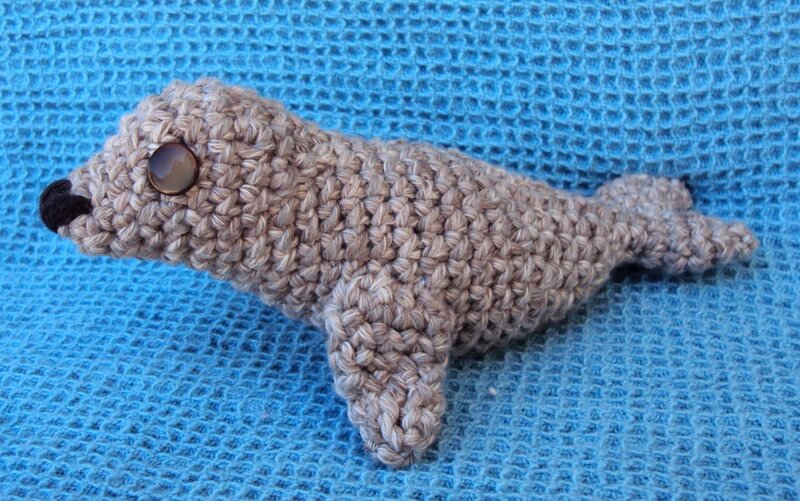 When I was hunting for patterns to make his birthday platypus, I found Planet June’s Sea Otter – way too adorable to resist! 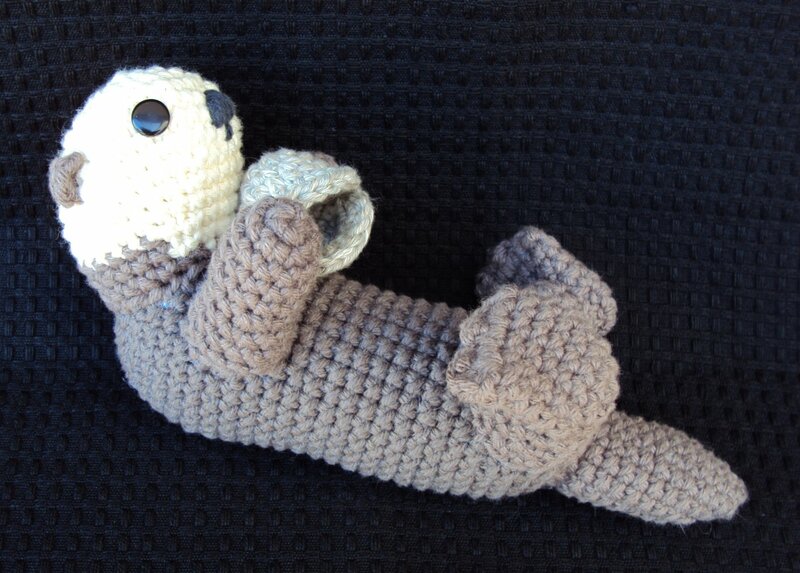 I remembered (from childhood trips to the zoo) that Dad was fond of the cuteness of otters, so I crocheted this one, complete with clam-shell accessory. He now sits atop the TV, adorning it with his adorability. I was very relieved when the pattern fit so neatly into this frame; I checked the size before starting, but didn’t take into account the curlicues of the leaves. Thankfully, it all worked out – the stitched leaves slotting neatly into the spaces left by the brass foliage. 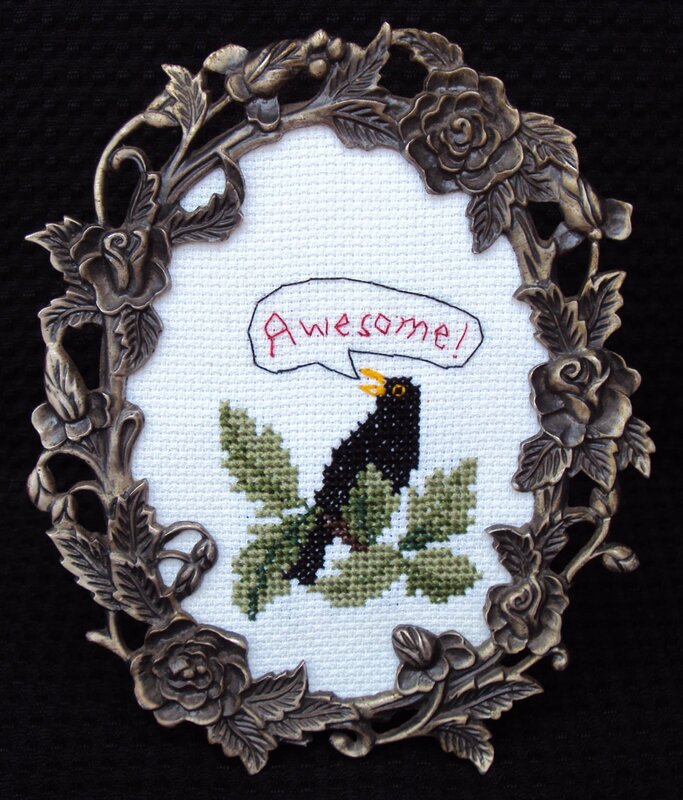 As a gift, it was very successful – it turns out blackbirds are one of her favourites. When we left, it was on display next to her bird cage, perhaps to encourage the budgie to similar heights of ‘Awesome!’. 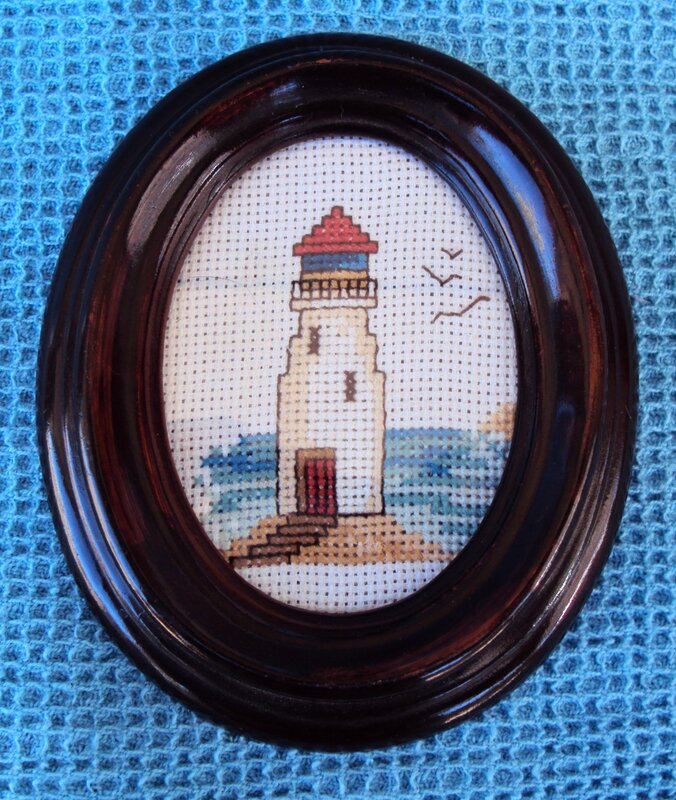 For Mum’s birthday this year, I had something stashed and ready to roll – a little cross-stitched lighthouse. I made it for Mum years and years ago, then put it ‘somewhere safe’ and forgot about it completely. I found it again when I moved house last year, and this time, I actually remembered its existence when planning for gifts. Add a vintage frame and voila! 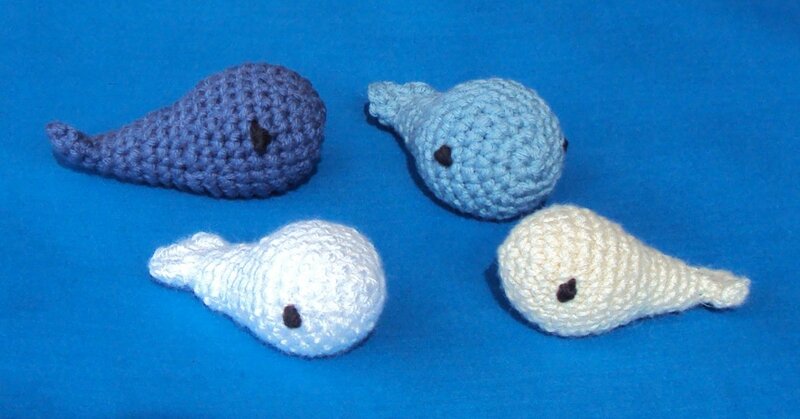 I also wanted to crochet something cute to go with it – Dad already got the whales, so for Mum, I went looking for seal and sea lion patterns. 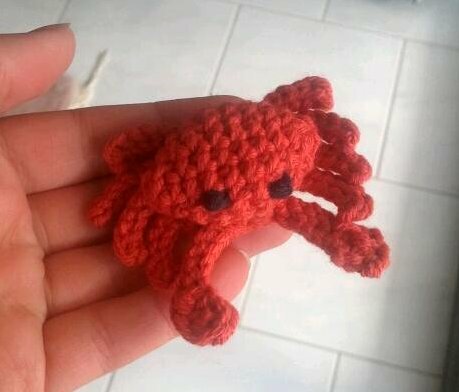 I eventually found one on Ravelry, from Sandsteel Designs. Some of the results looked…variable, but the pattern had some extremely clever shaping. I had faith that if I got the gauge right, I could pull it off. I fished out a variegated greyish-brown cotton, sat myself in front of the TV and got stitching. Result? Adorability! Additional! I have an excessive amount of Christmas craft to blog, so stay tuned for an upcoming four-part post full of holiday cheer, gamer craft, mysteries and other such signifiers of the season. 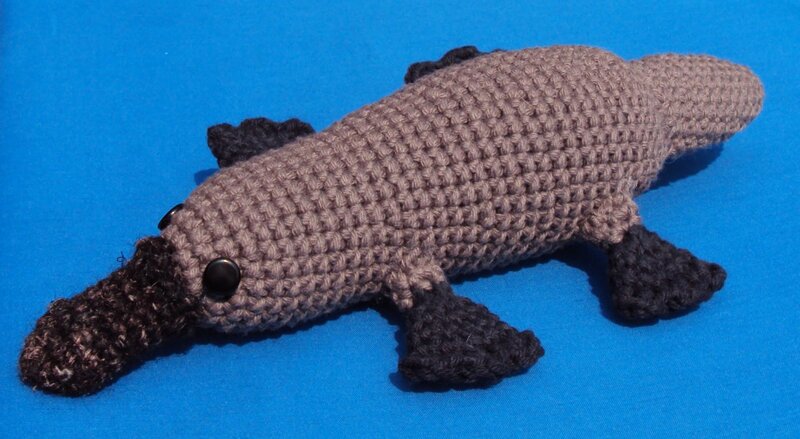 My dad was fairly chuffed with this crocheted monotreme, as he rather enjoys platypus-spotting when given the opportunity. (For the uninformed, platypuses are extremely rare, and extremely hard to see in wild environments, given that these brown creatures hang out, largely, in the brown mud of brown creeks.) 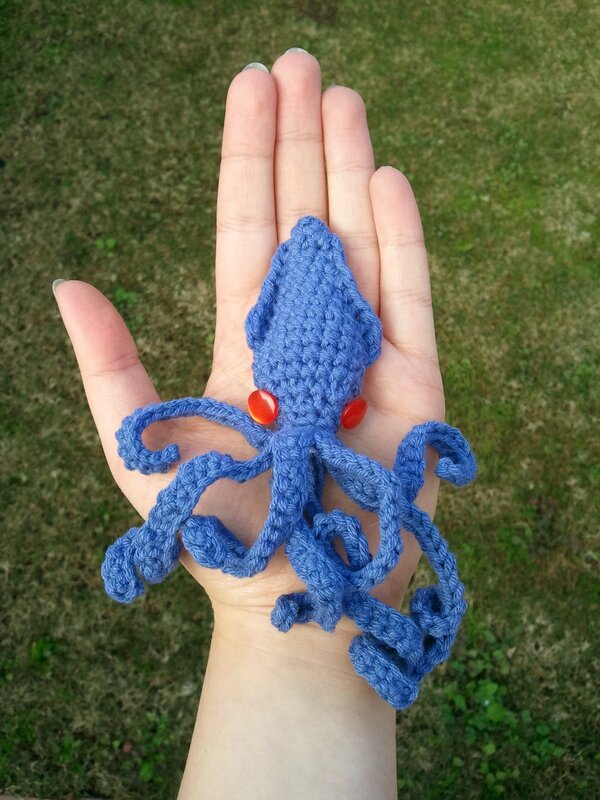 I was pretty happy too – it’s the length of my forearm, and therefore the biggest piece of amigurumi I’ve made to date, and yet it’s still really cute! This yarnbomb is on the tree outside my house; it’s more “me” than any other yarnbomb I’ve ever put up. I used leftover scraps of neutral-toned Noro, a gorgeous Japanese luxury yarn – most of the scraps were pure wool, but some were also wool/silk blend. The colours are beautiful, and the all-natural fibres are well suited to longer-term installations (which I intend this to be!) thanks to their breathability. 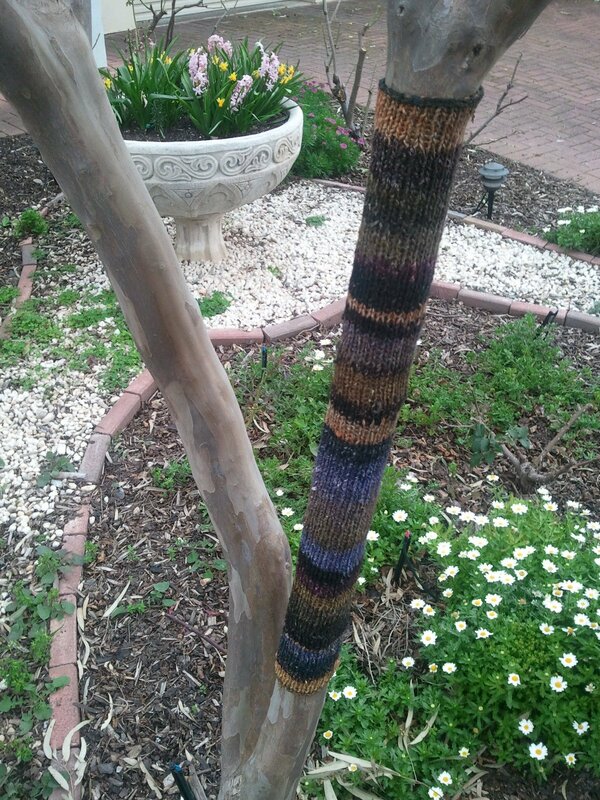 This yarnbomb has been through one inspection so far – the rental agent noted, upon leaving, that there was a “scarf on that tree”. We agreed that yes, there was a scarf on the tree, which could be removed easily if requested. With no such request forthcoming, this yarnbomb hereby stakes my claim. Home is where the craft is. Birthday! A quote from his favorite Terry Pratchett character, Sam Vimes, from the book Night Watch – the flowers at the bottom are lilac blossoms, which are seriously plot-relevant in the book. Also, a cross-stitched triceratops birthday card! The triceratops is from from Makoto’s Cross-Stitch Super Collection, which has fantastic mini-designs. Christmas! 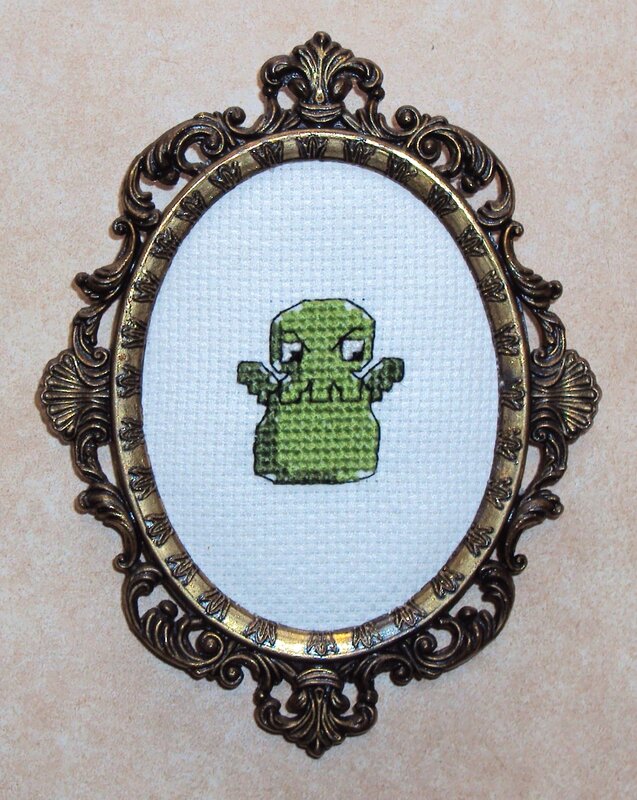 Cthulu cross-stitch from Needlenoodles, and Zombie Vampire from Zombie Felties. We had at the time been playing a lot of Arkham Horror; on reflection, that fed heavily into my crafty psyche. 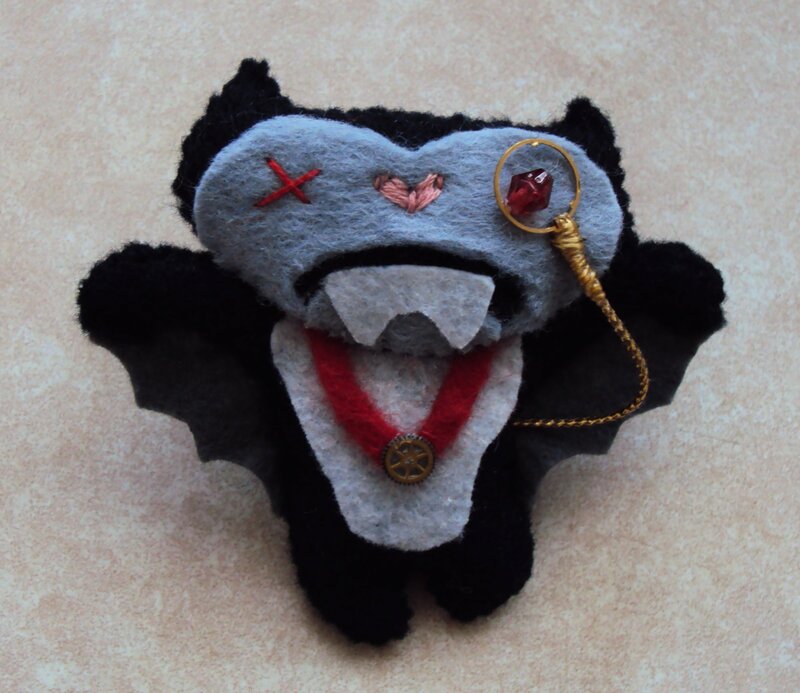 Plus, cutesy Lovecraftian nightmares and steampunk-style zombie vampires are just cool, y’know? Valentines Day: a heart, of course! 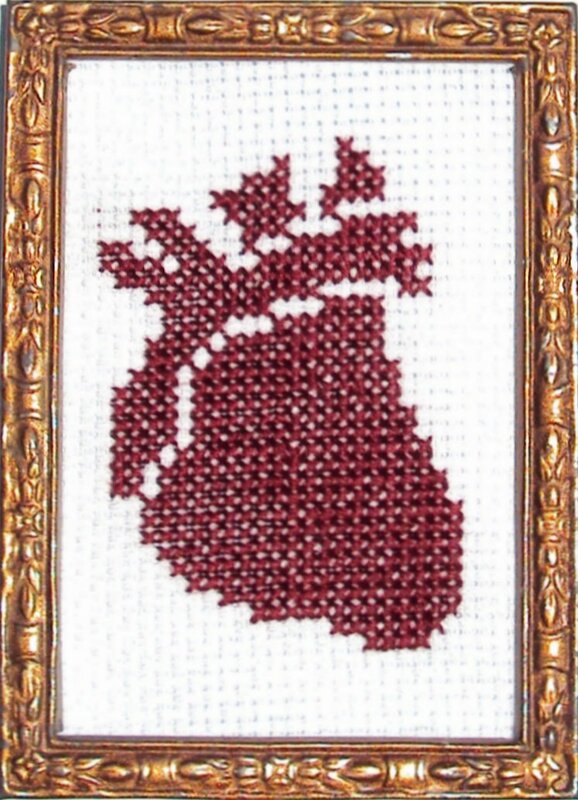 I stitched this ages ago, but could not pass it over as a Valentines gift: it just struck the right note between geeky and romantic. Anniversary! 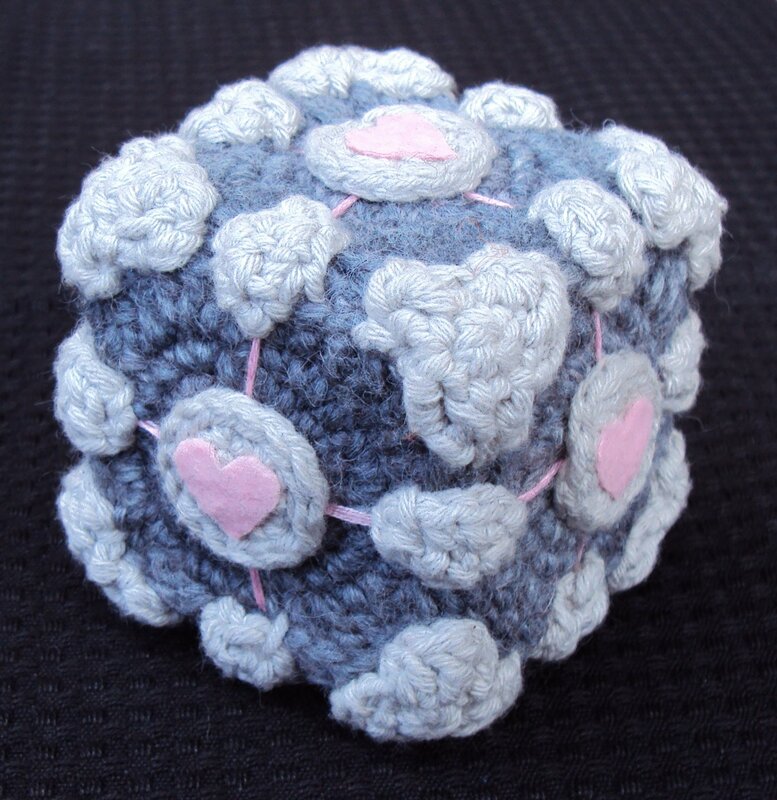 A Weighted Companion Cube from Nerdigurumi (and also, well, Portal). 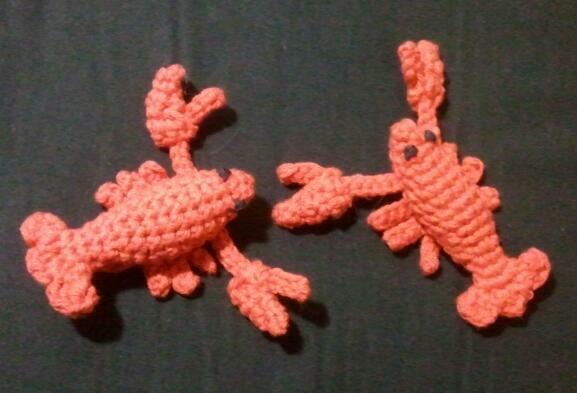 Made after we began cohabiting, and therefore crocheted in secrecy, at odd times and in weird places. Stitched with love and weighted with glass beads, your Weighted Companion Cube will never threaten to stab you. Aaaaaand birthday again! 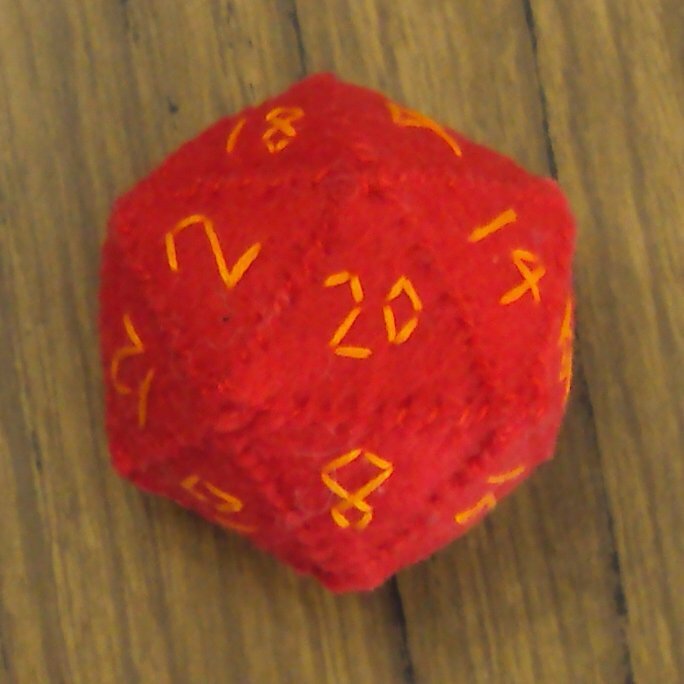 A hand-embroidered felt d20, of my own devising! Again stitched as a covert operation. The project began as a crocheted d20, but in the end, felt was a much more manageable medium, especially with that much embroidery and sewing-up. While it’s not entirely game-legal, it does roll surprisingly true! 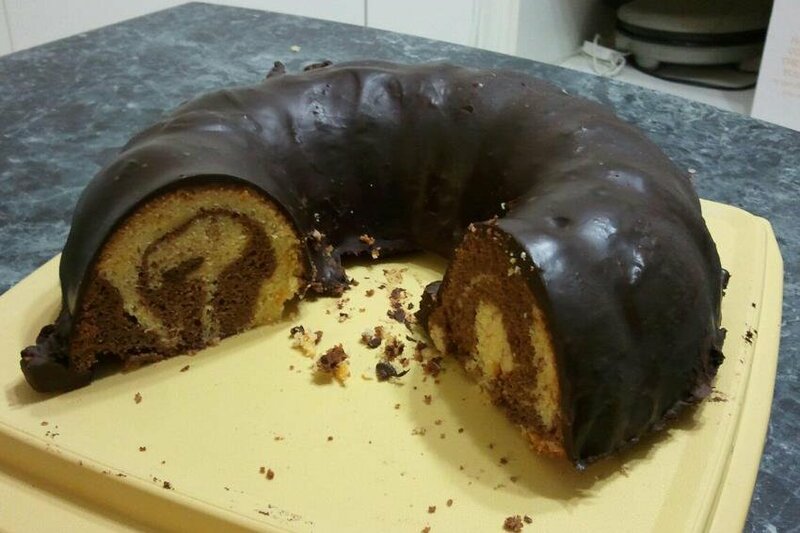 Also, I made a Jaffa marble cake with dark chocolate ganache. It was delicious! Needless to say, we are well suited in our geeky tastes.